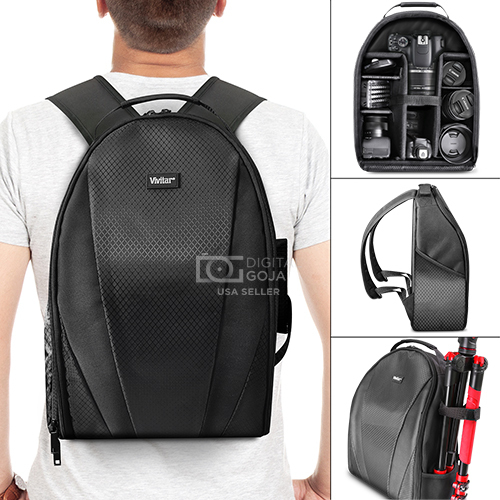 - This lightweight camera backpack is designed to hold all your photographic equipment in full comfort. - Features soft, nylon material that keeps your devices and accessories safely cushioned. Ideal for on-the-go photographers. - Customizable padded interior dividers. - 2 Side compartments for extra storage. - Designed to fit DSLR cameras, lens and accessories. - Compatible with all DSLR and photographic equipment. - Will also fit game consoles and controls.